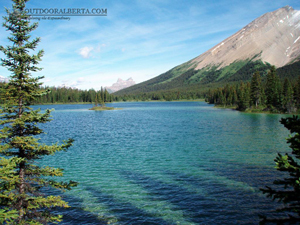 You guessed it Red Deer Lakes are the headwaters for the Red Deer River. 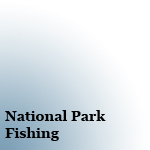 Located Deep within Banff National Park the upper lake is the larger and offers the best fishing.. I found the water in these lakes to be warmer probably due to the shallow shores. 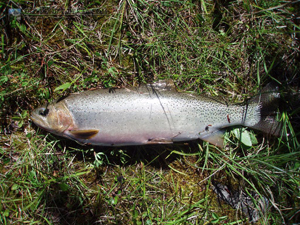 It was also pretty clear so sight fishing is possible. For more information on the area see the Skoki Area. There is a backcountry campground located between the lakes. 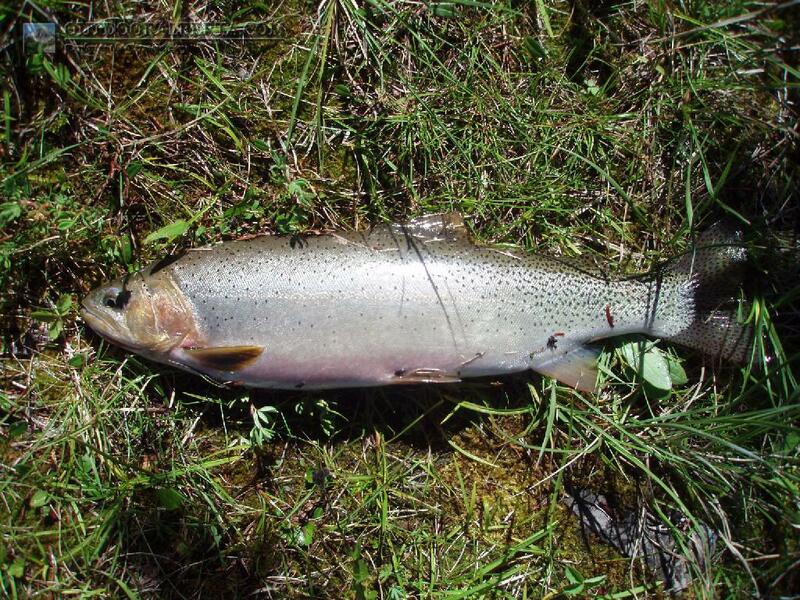 The upper Red Deer Lake offered some great fishing. 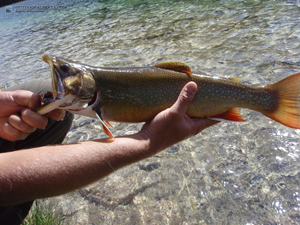 On a previous trip in shallow waters all I caught was a small brook trout before moving on to the deeper waters which held larger Cutthroat trout in up to 16 or 17". On my more recent trip I pulled out all Brook trout up to 19". This lake seems to be very productive and warm in temperature making it a prime fishing location.